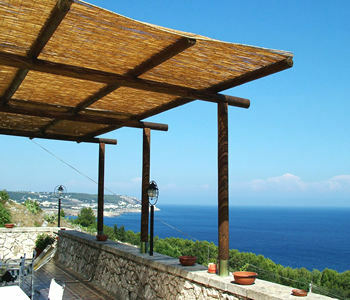 Castro is situated in the Serre Salentine and is one of the most beautiful resort of the Salento. 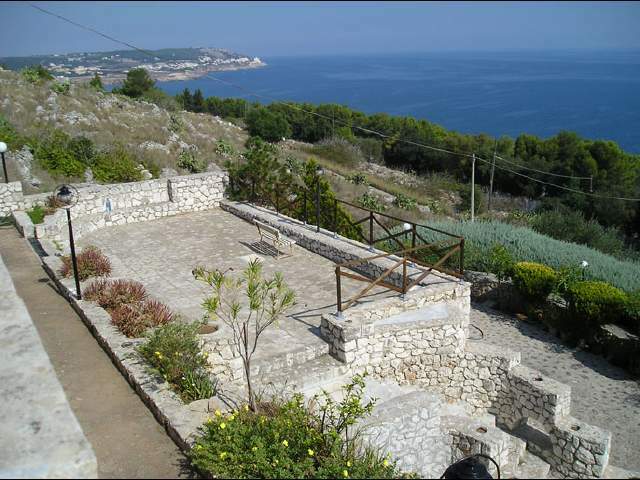 It stands on a promontory 98 m s. l. m. between Otranto and Santa Maria di Leuca, 3 km south of Santa Cesarea. 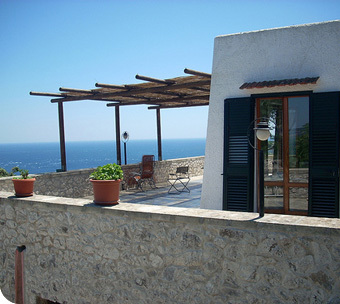 Our house, built largely with the same stone that dominates throughout the area, it seems almost confused with the land that is around, still partially intact, clear testimony to the laborious system of cultivation in terraces, which is used in many sections of the Adriatic coast between Otranto and Santa Maria di Leuca. The structure is composed of 5 rooms: 3 bedrooms, of which 2 with private bathroom and 2 double rooms. The dining room is simple and welcoming, the small but equipped kitchen overlooks it, breakfast is served in summer on the terrace facing the sea. 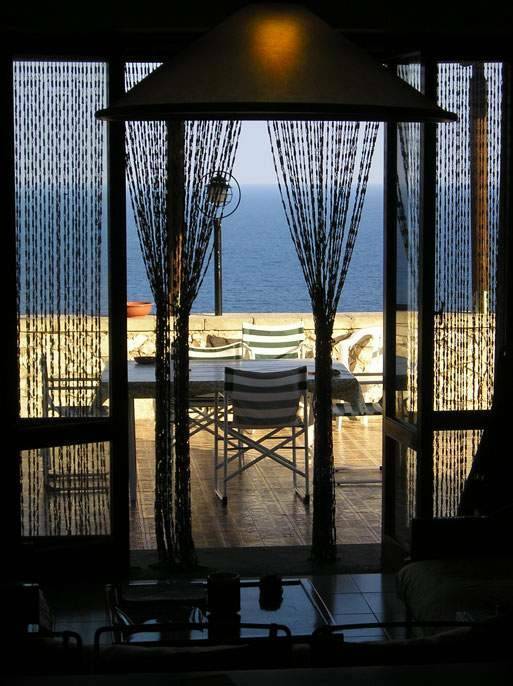 The house is spread over several levels and each one can admire the splendid panorama of terraces which give a fascinating view the large gulf between Santa Cesarea Terme and the port of Castro Marina. Coming down the stairs of the garden and across the coast, you arrive directly on the irregular and jagged cliff overlooking the sea, a few steps from the Zinzulusa cave. The old town has the appearance of a typical medieval village, surrounded by small houses and many small streets and surrounded by massive walls. The Aragonese castle recalls the origin of the name. In fact in Latin Castrum is referred to the fort and the nearby Vignacastrisi points to the existence of "Vine castrensis" fortifications in the form of ditches and trenches defending the fortress. Highway A14, exit Bari south, just after the toll take the ring road and after about 1 km take the motorway Bari - Brindisi - Lecce. At the entrance to Lecce, if you do not want to stop just to visit the city, take the east ring road and continue for Maglie. Go past the exit for Maglie (keep on the dual-lane highway), that for Otranto (25 miles) and exit to the next for Poggiardo / Castro / S. Cesarea. 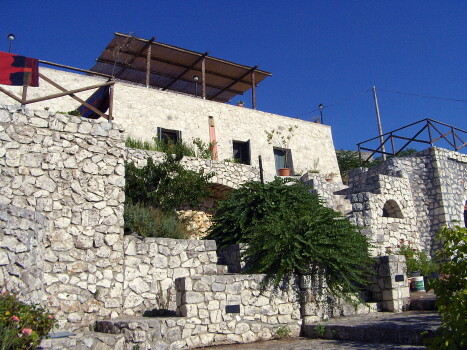 Continue to Castro Marina, arrived at the small roundabout on Castro Marina, follow the coast towards S. Cesarea and three curves after the junction to the Zinzulusa cave (don't exit the cave, but continued along the coast), you will see on your left the road that climbs the hill of Macchia di Pele.